Alan’s Roofing started in business in a southern suburb of Chicago in 1978. Our portfolio includes numerous residential & commercial projects. United States Steel Corporation, Carousel Industries, Bay's English muffins, Mobil oil refinery, Multiple shopping malls & plaza's, churches, apartment complexes, residential homes, ect. Alan's Roofing decided to expand to Florida in 1998 where we were licensed by Sarasota County in 6-26-2000 (# RC0067361). We have the knowledge to combine the two best systems into one for your advantage. 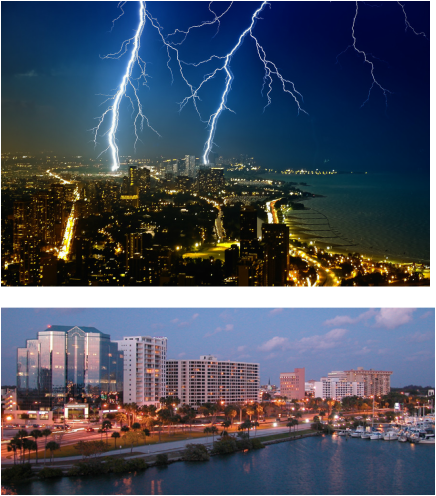 The "Windy City" along with "Hurricane Charley" has equipped us with the knowledge we call "Experience". We are proud to have references in Florida, from residential, commercial & repairs of all kinds. At Alan's Roofing we believe "40 Years Of Hands On Experience" is what sets us apart from our competition. We are a company that honestly takes pride in the work we do and will continue to do so for many years to come.